HERE IT IS! The most exclusive and well-appointed residence in Clemson. 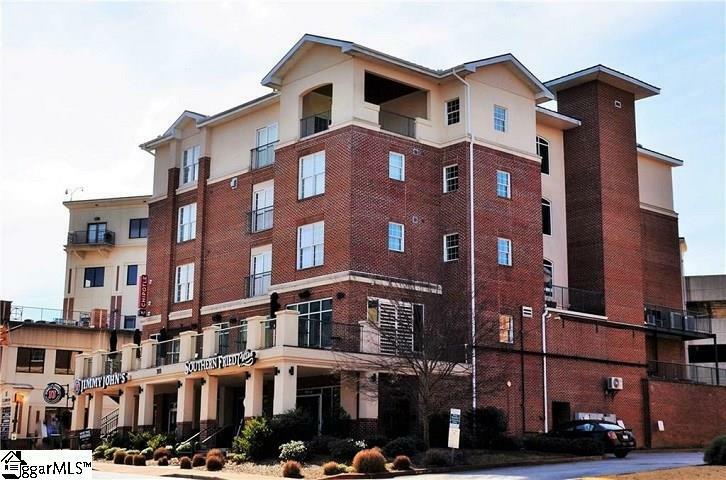 This 2900 square foot penthouse condominium on College Avenue is perfectly located right in the middle of "Everything Clemson. The open concept floor plan is warm, inviting and very spacious. 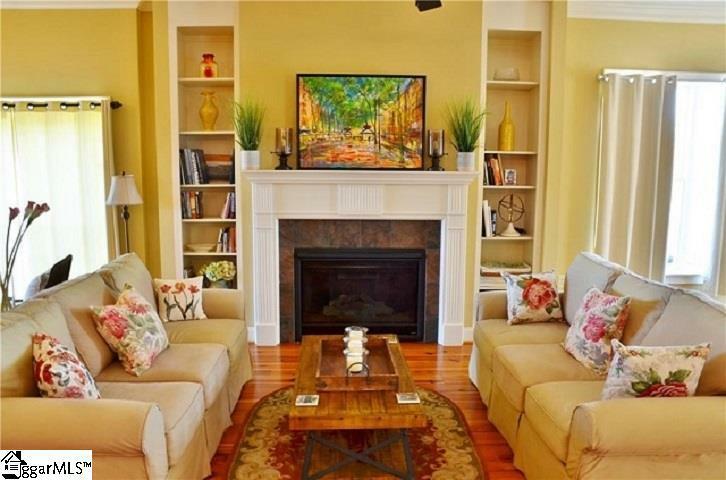 Features include ten foot ceilings, open living area with gas log fireplace, and built-ins. There are three lovely bedrooms, one of which is a master suite, one is a minor suite, and each suite has its own linen closet. You will also find three tastefully done bathrooms which offer granite counter tops. Lots of natural light welcomes you to the living area which opens to the beautiful kitchen featuring a 15-foot granite covered island, and an extra large pantry. 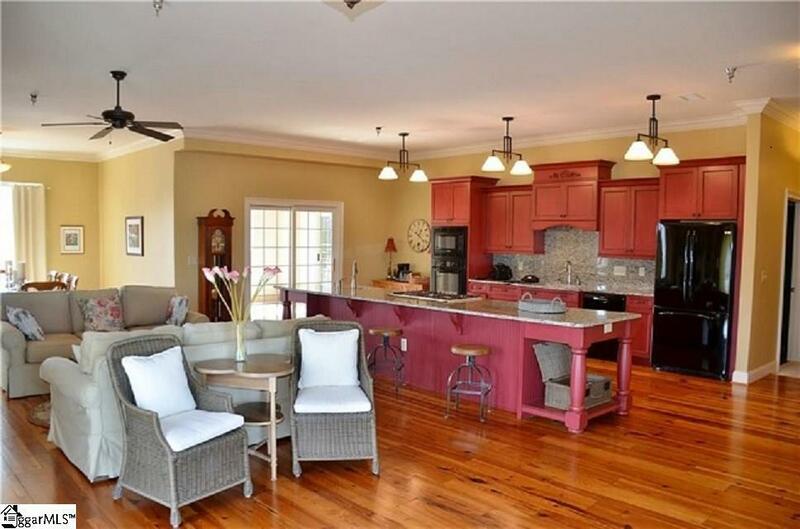 The cabinets are beautifully done in a beautiful red tone that blends very well to the heart pine floors made from wood which was removed from a local textile mill weaving room. Your friends and family will be impressed with this "Made for Entertaining home. The views from this penthouse are extraordinary. Two extremely large veranda-type patios allow maximum enjoyment of the ambience of downtown Clemson for you and your guests and are equipped with gas hook ups and water lines allowing for an outdoor kitchen area as well as TV hook-ups. The building was erected with compressed concrete making this home very soundproof and makes it extra insulated as well. 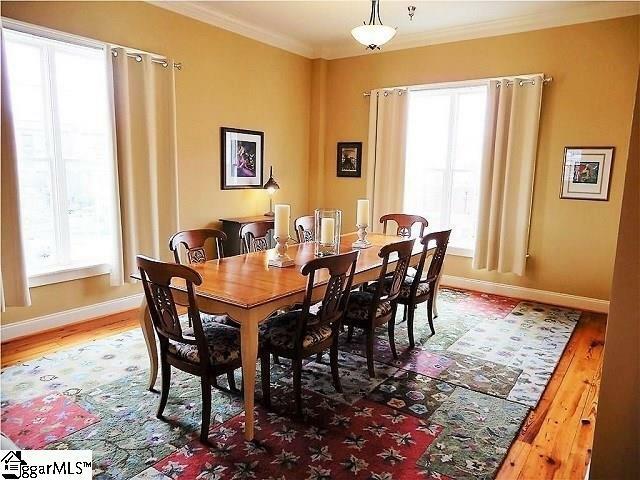 You will not find a larger or more well-appointed condominium in downtown Clemson. Perfect for a second residence or game weekends. Also perfect for a full-time residence with two exclusive parking places. Listing provided courtesy of Judy Webber of Carolina Real Estate.